Everyone at the Research Academy is passionate about the process of research and the insights it can yield. We’re also passionate about teaching. Our mission is to help people gain internationally respected professional qualifications in market and social research. 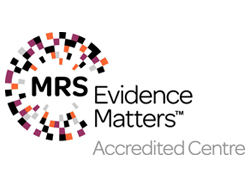 As an MRS Accredited Centre, we are approved by the Market Research Society (MRS) to provide tuition for both the MRS Advanced Certificate and the MRS Diploma. We take an innovative approach to delivering the MRS Advanced Certificate and MRS Diploma syllabuses. We’ve analysed published studies and interviewed past MRS students to find out what exactly students want, and have used the findings to develop our own learning approach. We’ve harnessed this unique approach to the latest in distance learning technology, offering students an engaging online learning environment and live online tutorials. The Research Academy team has a deep understanding of what market research is and what it is used for. All of us currently work in market research, social research or both. Our clients range from government bodies and charities to Fortune 400 brands and communications agencies. Every one of us has been a university lecturer, a trainer or both – some of us for more than 20 years. We want to train good researchers, and we think participatory teaching and learning are the best ways to do this. This means lots of discussion and debate, lots of asking questions and sharing ideas, and plenty of feedback on written coursework and mock exam questions. At the Research Academy we love our jobs and enjoy working together. We look forward to getting to know you and working with you as well. Limited company registered in England & Wales. Registered company number 8543012. VAT number GB165061620. Registered with the Information Commissioner’s Office. ICO registration number ZA014688. Accredited by the Market Research Society (MRS) to offer the MRS Advanced Certificate and the MRS Diploma in Market and Social Research Practice: view the accreditation certificate.